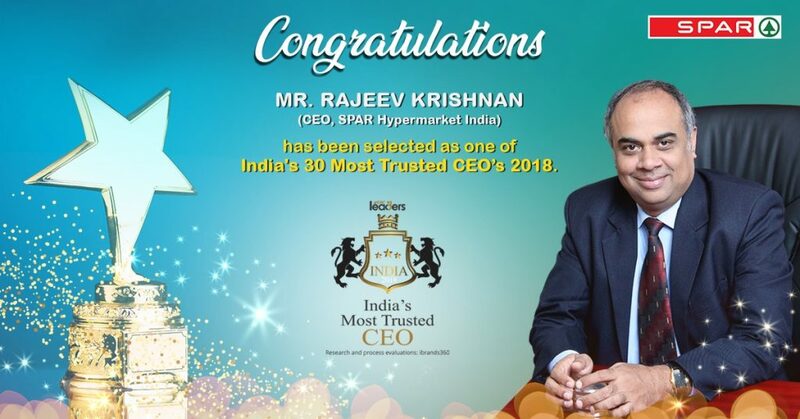 SPAR India’s CEO, Mr. Rajeev Krishnan has been recognised as one of India's Most Trusted CEOs of 2018 by the World Consulting & Research Corporation (WCRC) Asia. He was awarded for showing exceptional leadership, enabling the business to achieve growth and success through his passion, commitment and trust in his employees. 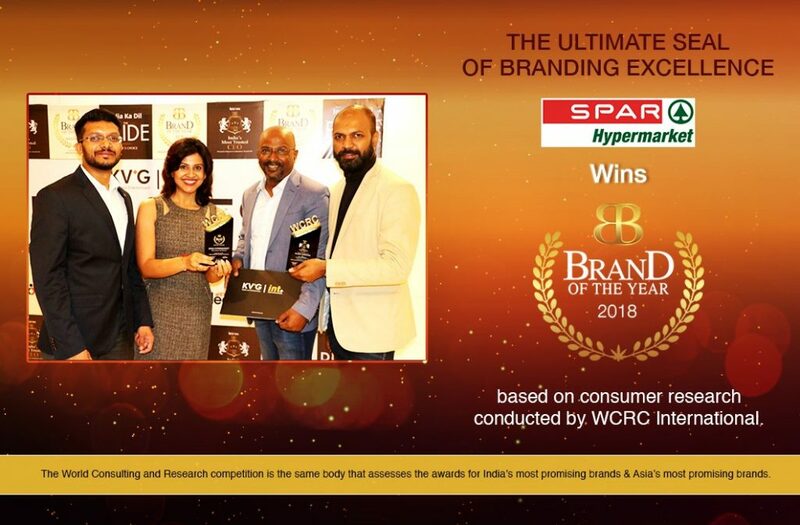 SPAR India also won the Brand of the Year Award 2018, based on consumer research conducted by WCRC International. Additionally, the SPAR Partner was recognised as Best Omni-channel Retailer of the Year at the 2018 Best IMAGES Retail Technology Awards on 5 September in Mumbai. The IMAGES Retail Tech Awards are among the most coveted awards in the industry and recognise organisations for their excellence in every major format and category of modern retail in India. The latest award wins follow other recent accolades, with the SPAR Partner taking home prizes for excellence in Human Resources, Social Media and Community Involvement.